As our ship sails toward the Vietnamese border, I'm reflecting on the diverse snippets of life we've seen between Siem Reap and Phnom Penh. From floating villages to towns of varying sizes, every place we've seen offers evidence of traditional lifestyles merging with modern technology. Below, some photos. 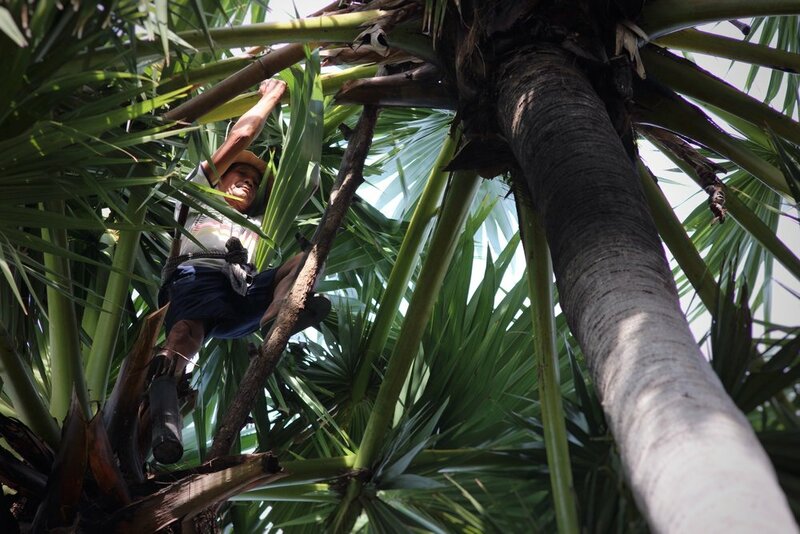 This goofy 65 year-old demonstrated how he climbs palm trees via bamboo ladders to harvest the juice for wine and sugar production. A scene from Chnok Tru, one of the largest floating villages on the Tonle Sap River. 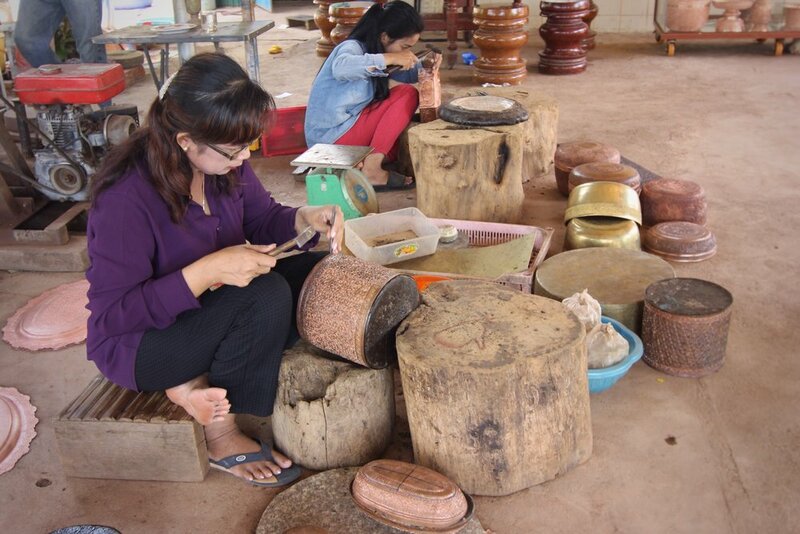 A coppersmith and her daughter. A man juicing sugar cane. Local girls waving hello from a resting tuk tuk. Children are, without fail, very excited to see foreigners.